Martronics Limited wish to announce their purchase of an iconic NZ Marine member, EAL Electric Limited, effective February 1, 2017. 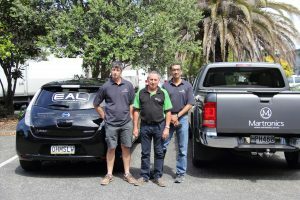 EAL Electric continues to operate as before from their existing location and with their full complement of staff. Warren Tait, who has been appointed General Manager, also continues with the organisation. EAL will continue to represent and support all their existing brands: VIMAR, ROXTEC, VEGA, ATLAS, sEALogics LED lighting etc. This acquisition enables us to provide a complete range of Electrical & Electronic Services to the NZ Marine Industry, under one organization. We take this opportunity to reassure all our customers and clients that Martronics & EAL Electric will ensure that there is no disruption to our services and on-going projects.